Diamond Custom Homes president Michael Diamond today announced the luxury homebuilder is transforming an existing 6,686 square foot estate home, located in the prestigious Quail West Golf & Country Club, with the construction of a 1,256 square foot under air home addition, whole house remodel and a new outdoor landscape design. “It’s a spectacular home on a spectacular piece of property,” reports Diamond. 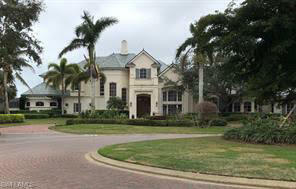 Built in 2007, two-story, French chateau-designed single-family home sits on an oversized lot with glorious views of the 18th green at Quail West’s championship Lakes Golf Course. The current split bedroom floor plan design features four-bedrooms including two master suites plus den and six baths (four full and two one-half baths). When completed, the renovated estate will present 8,120 square feet under air and 11,73 total square feet featuring seven bedrooms plus study. According to Diamond, the considerable renovation and addition will substantially increase the size of estate’s living areas under air by converting a covered an entry cabana into an enclosed room and transforming a second floor balcony into a bedroom en-suite. Key remodeling efforts also include a new roof, new gourmet kitchen, new flooring, and a new pool deck with outdoor kitchen. Diamond conducted in-house architectural services with interior designs by award-winning Collins & DuPont and landscape architecture by Pat Trefz of Outdoor Productions, Inc.
“The goal of the renovation was to maximize the space inside and outside,” explains Diamond. “Diamond Custom Homes is dedicated to serving owners who are looking to further enhance their existing home’s livability through updates, renovations and additions,” he continues. “Whether you need an additional bedroom, a sunroom or a complete level, we promise homeowners the same innovative designs, quality materials and excellent craftsmanship provided to our new construction clients,” he adds. Diamond Custom Homes creates and renovates luxury residences for discerning homeowners in Southwest Florida’s most prestigious communities. The firm is known for its quality craftsmanship and the creativeness of its custom designs. Offices are located at 6646 Willow Park Drive, Suite 5, in Naples. For more information, call 239-325-4600 or visit DiamondCustomHomesFL.com.